Kit contains Modern Gem Pattern and fabric to make the shown quilt top and binding. Backing not included. 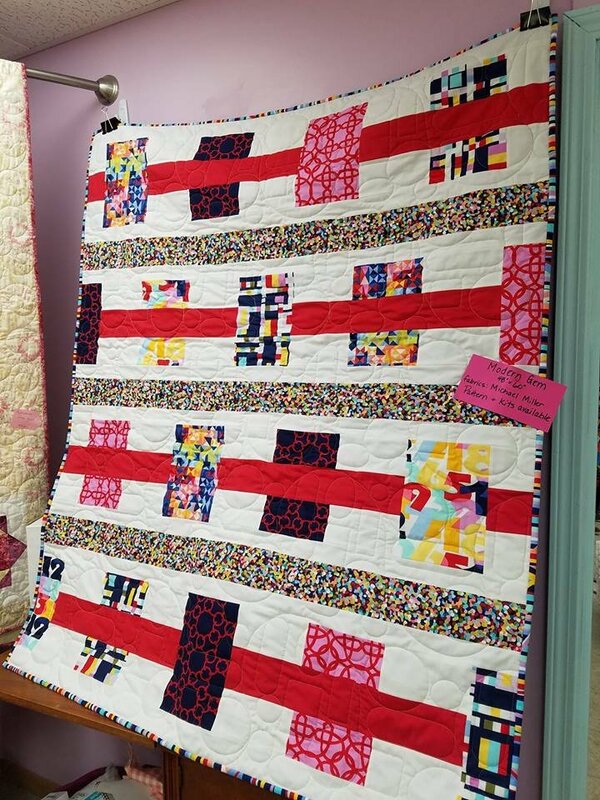 The kit makes a throw sized quilt 48" x 60". (pattern does have instructions for larger quilt also).